 Welcome to Urios Utrecht Model United Nations, a model UN conference taking place in Utrecht for the fourth time on Friday the 7th of June 2019. Would you like to experience how it is to be a diplomat? Are you eager to share your opinion about global issues and excited about debating with students from all over the world? Then don’t miss out on URUMUN 2019 and debate your way to greater heights in the Domcity! URUMUN 2019 is an initiative of Urios, the Utrecht study association for International and European Law. The conference will be hosted at the Faculty of Law, Economics and Governance of Utrecht University, which is situated at Janskerkhof 3 in Utrecht. Sign up as a delegate to participate at URUMUN 2019 before Monday the 6th of May and enjoy the delegate fee of only €30,-! This delegate fee includes a whole day of MUN, an opening ceremony with interesting speakers, coffee/tea, a tasty lunch, a complete three-course dinner including a drink at Popocatepetl The Mexican and a lot of fun! After the 6th of May the delegate fee will be increased to €35,-. Sign up via: https://forms.gle/fCKiYLq5wDzRLmv99. You can apply as a delegate until the 21st of May. The URUMUN Secretariat is looking forward to welcoming you in the beautiful city of Utrecht on Friday the 7th of June 2019! Follow us on Twitter, Instagram and Facebook to stay updated.